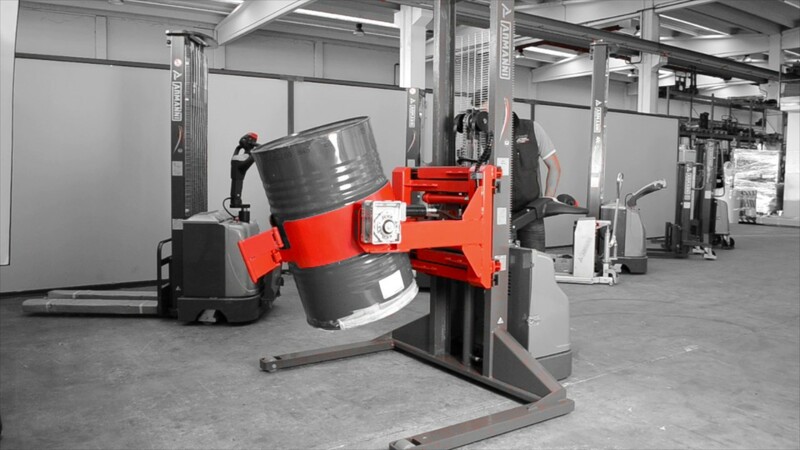 The ring-shaped system surrounds the load over the external diameter and allows firmly gripping the drum, with the following gradual controlled emptying of the content in forward or lateral direction. 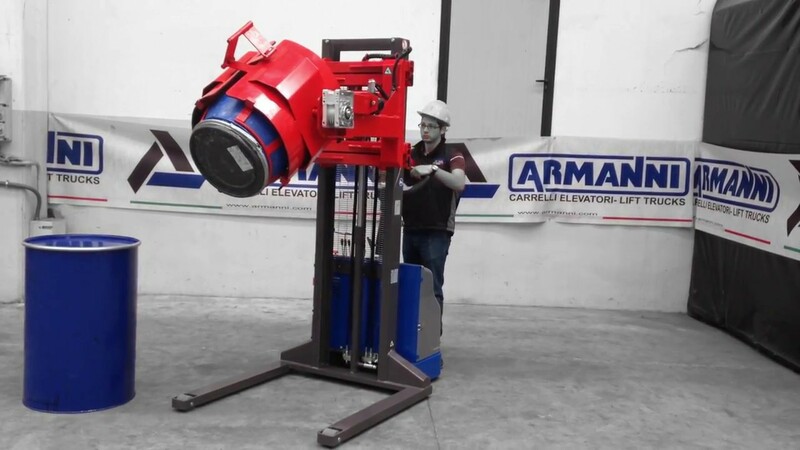 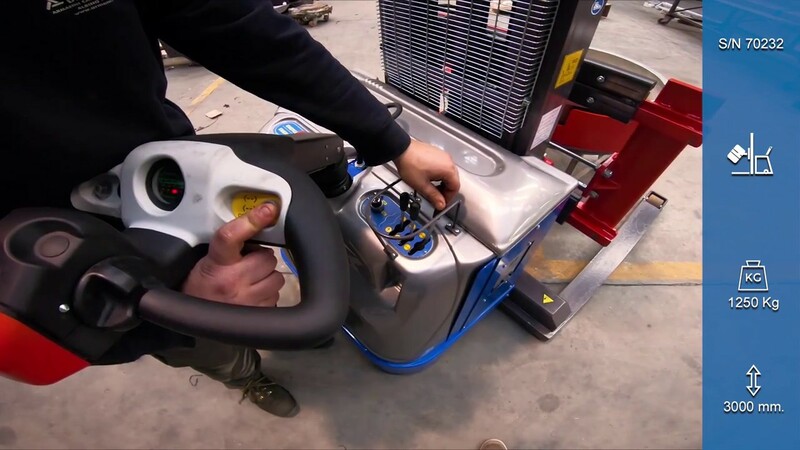 The rotation mechanism can be manually or electro-hydraulically operated. 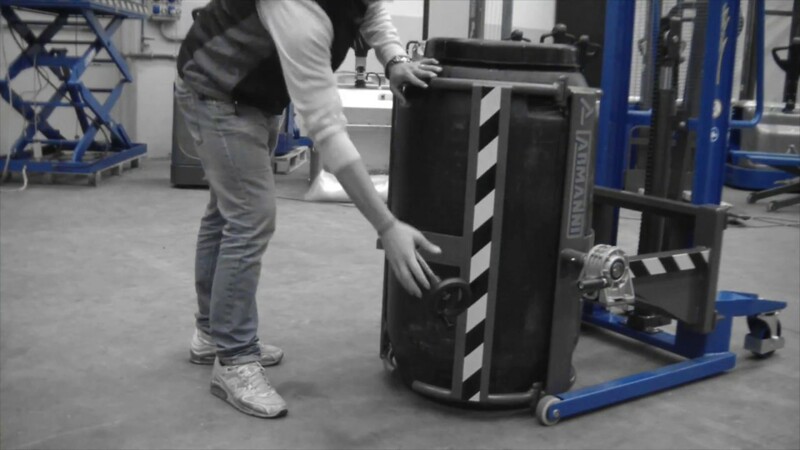 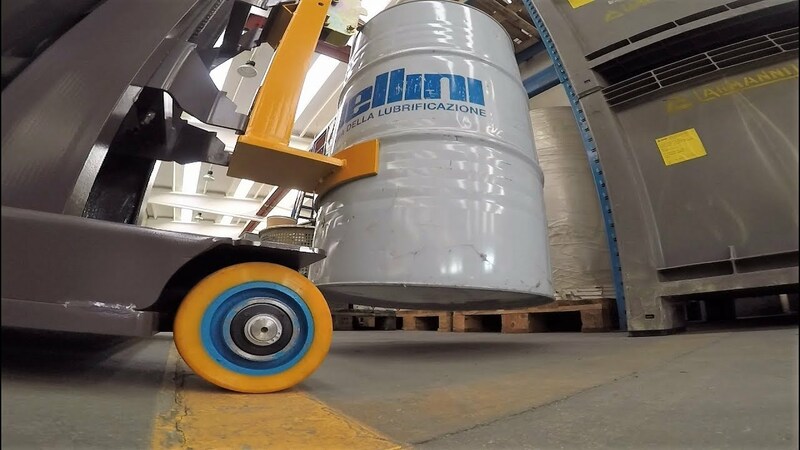 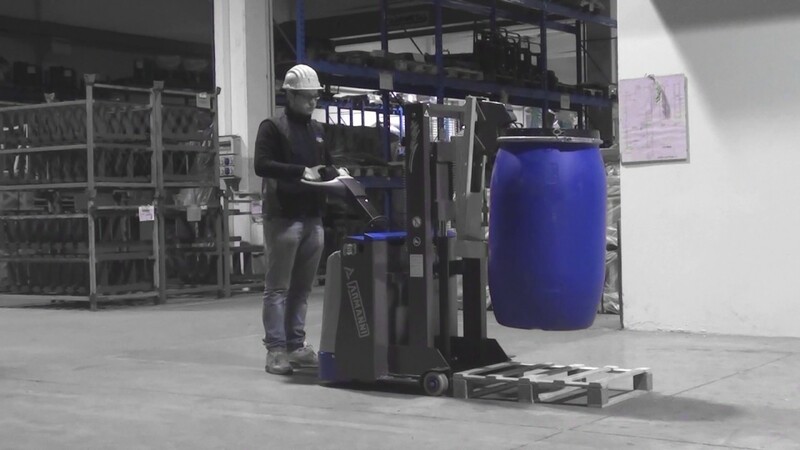 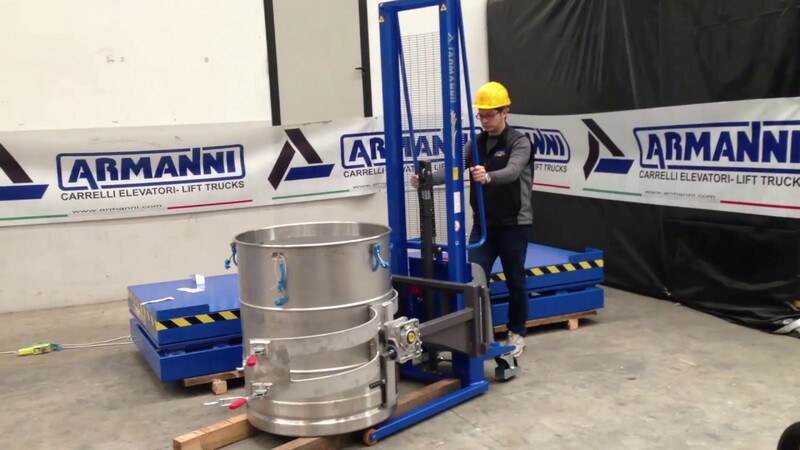 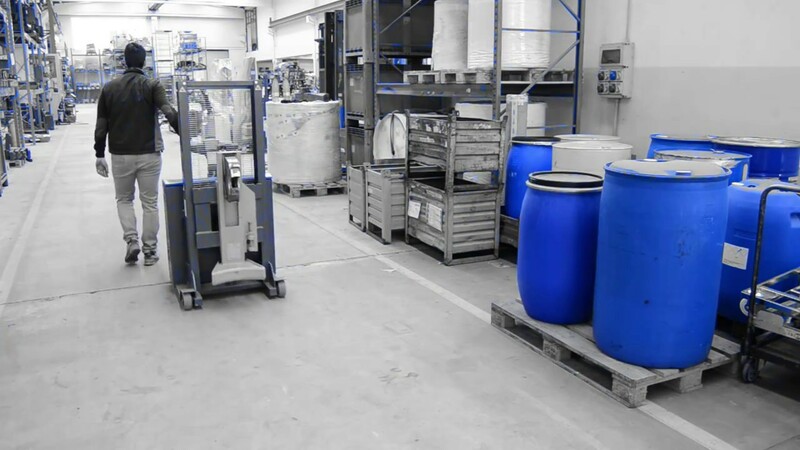 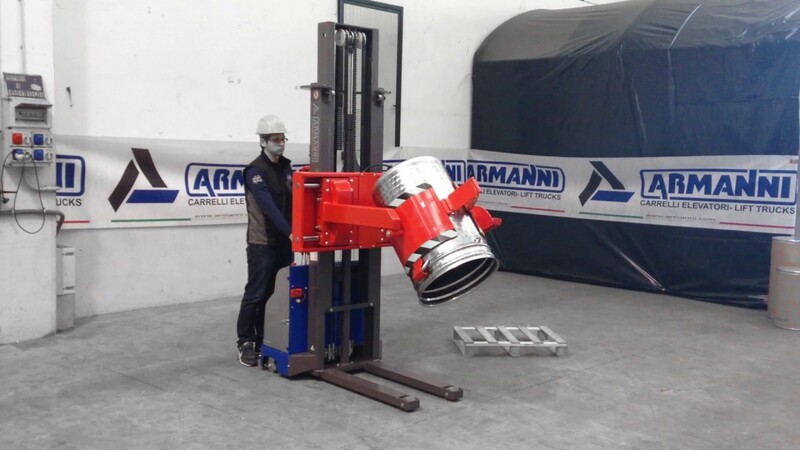 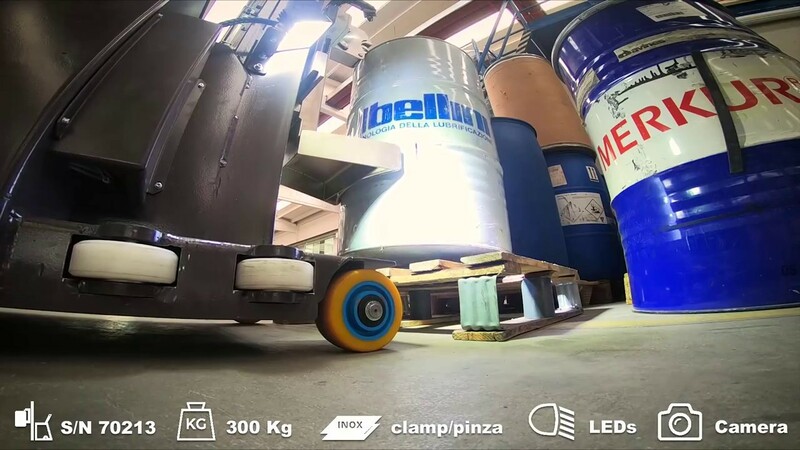 The clamps that are used to handle and empty drums allow safely gripping containers of different diameters by opening and closing suitably shaped holding arms. 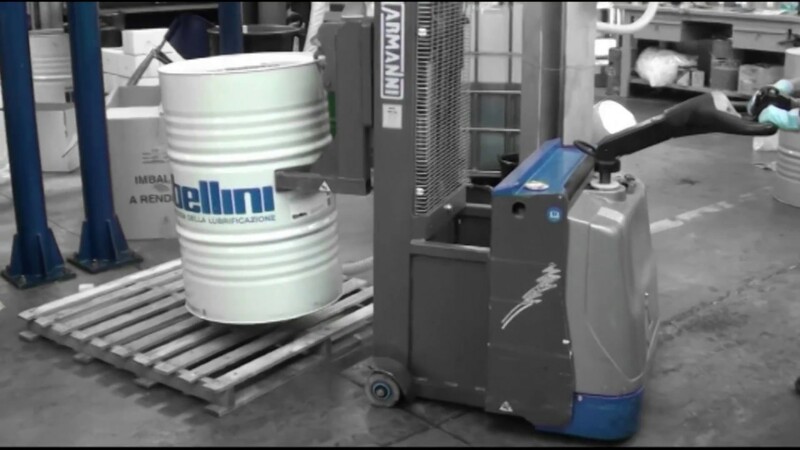 The front- or lateral-rotation electro-hydraulic mechanism allows emptying the drum in a gradual and controlled way. 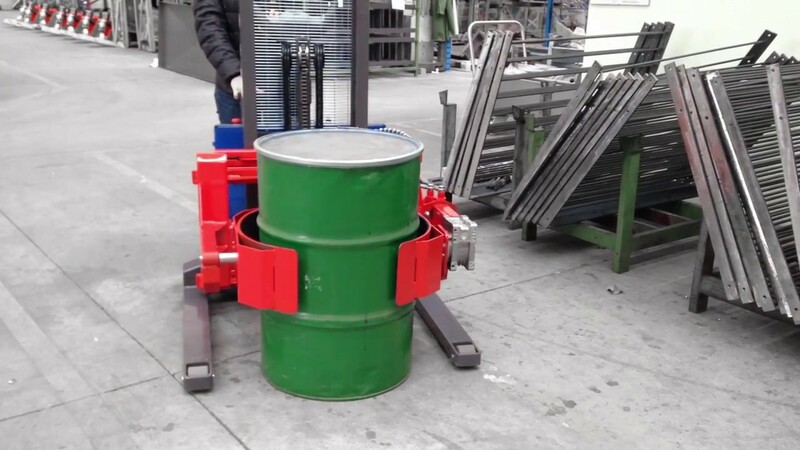 Devices that are equipped with claw fastening system, with automatic snap-on closing, to grip the external edge of drums of various materials. 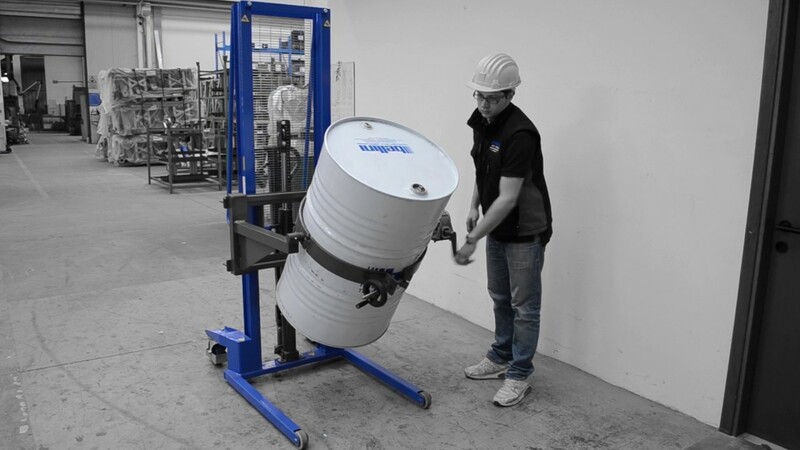 The simple snap-on mechanism assures a firm grip, as well as extremely quick drum handling and storage operations.